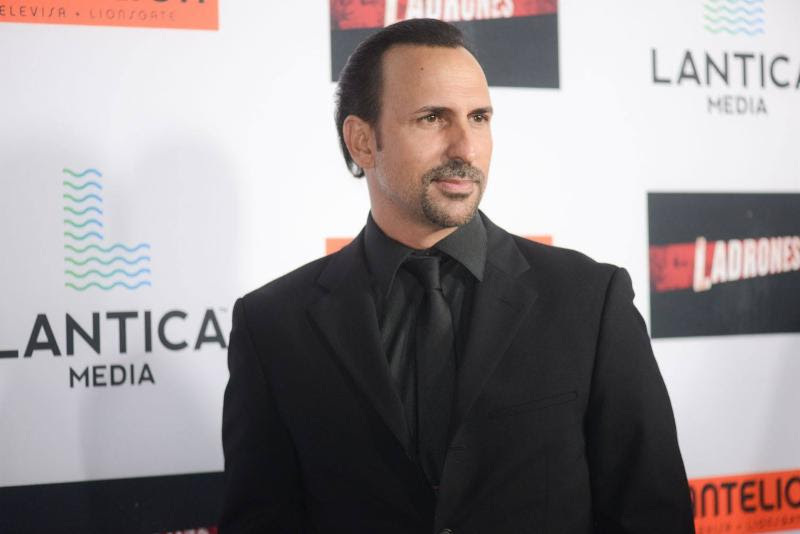 LOS ANGELES, CA – September 23, 2015 – Cuban-American actor, Oscar Torre stole the show at the red carpet premiere of Ladrónes at the ArcLight Cinemas in Hollywood Monday night. In Ladrónes, the sequel to the 2007 hit comedy Ladrón que roba a ladrón, Torre reprises his role as Miguelito, a Cuban refugee, out-of-work actor and master of disguises, recruited to be a conman in a mega-heist operation. His hilarious performance was an audience favorite receiving the most laughs of the night. The action-packed comedy is set to be released on October 9th by Pantelion Films. In the first film, legendary thieves Alejandro Toledo (Fernando Colunga) and Emilio Sánchez (Miguel Varoni), took down an infomercial guru who was taking advantage of Latino immigrants. Following that successful heist, the modern day Robin Hoods left their lives of crime for a more civilian life. Sanchez joined the FBI and Toledo is a businessman. Ladrónes sees Toledo return to his do-gooder robbing roots and although Sanchez can’t quite commit to helping out, he introduces Toledo to the hilariously skilled Santiago Guzmán (Eduardo Yáñez) to help him with the mission of a lifetime. Their goal? The two must work to reclaim land stolen from a hard-working community by a ruthless family of crooks led by a beautiful but lethal diva. Action and comedy ensues as Toledo and Guzmán enlist the help of original crew member Miguelito, who disguises himself as a Texas Ranger to distract the town villain, and recruit their new team of “Robin Hoods” to perform the biggest heist of their careers and save the future of an entire town. Oscar Torre is currently preparing for his role in the modern day western, The Wind Of Heaven, a new film from international, award-winning director, Stephen Savage, slated for production September 21st through the end of November, 2015.